Are you in the market to purchase a new vehicle, but are tired of dealership antics? If just thinking about heading into a dealership to buy a new car leaves you with a headache, why not change things up a bit? Since the advent of the car dealership, a lot has changed. Our culture, our technology, even the way we communicate. Fred Koller was thought to have opened the very first automobile dealership in the United States back in 1898. It’s been over 100 years since that first dealership opened, so why it is the way most of us are still purchasing new cars today? If Fred Koller was alive today, maybe he would have been the first man to open dealership that operated entirely online. Since he isn’t still around, we took it upon ourselves to further innovate the industry Koller helped propel to the American public. NowCar offers the best possible way to buy a car online, and our innovative technique is just getting started. It’s been over a century since we made a big change regarding how we purchase our vehicles. In a world that has made countless contributions in the name of progress, why is it that the majority of consumers head into a physical dealership to buy a new car? Let’s face it, the most exciting thing about walking into a dealership is knowing that you will walk out with a new car. Unfortunately, walking through the doors and arriving at the end result, isn’t the most efficient or pleasant process. NowCar is revolutionizing the way Americans are purchasing their vehicles, and we think it’s time to say goodbye to unpleasant dealership experiences, and hello to the convenience and ease of buying a car online. At NowCar, we don’t operate in the future, we operate in the “now.” Our dealership experience happens entirely online. From the first click, to the last click, consumers are able to buy a car online, without ever stepping foot into a dealership. Our online dealership service is completely free, and hassle free. NowCar offers the most competitive, lowest prices, on leading automotive makes and models. One of the most exhausting aspects of shopping for a car, is the needless back-and-forth exchange to get the right price on your vehicle. At NowCar, our prices are the lowest you will find, so the unpleasant exchange does not even take place. NowCar allows anyone to search for a new car online, by body style and features, price and payment, or by make and model. Once you find the car that is right for you, the rest is cake. THIS is the future of car buying, and the future is NOW. NowCar allows anyone over the age of 18, to purchase a new vehicle completely online. We offer live online support from our dedicated team members, who can help walk you through the process of your new car purchase. Anyone who is interested can start searching for their perfect new vehicle in our easy to use search feature. Once you find the vehicle you would like to purchase, you simply create a free account, build your perfect vehicle, and secure financing - all through our website. For those who prefer to pay in cash, we offer a user-friendly electronic fund transfer service. After your purchase, NowCar team members will work to get you the exact vehicle you want, and deliver it right to your door - for free. No hidden charges, no surprise fees. The price you see when you purchase your vehicle is the only price you will ever pay. 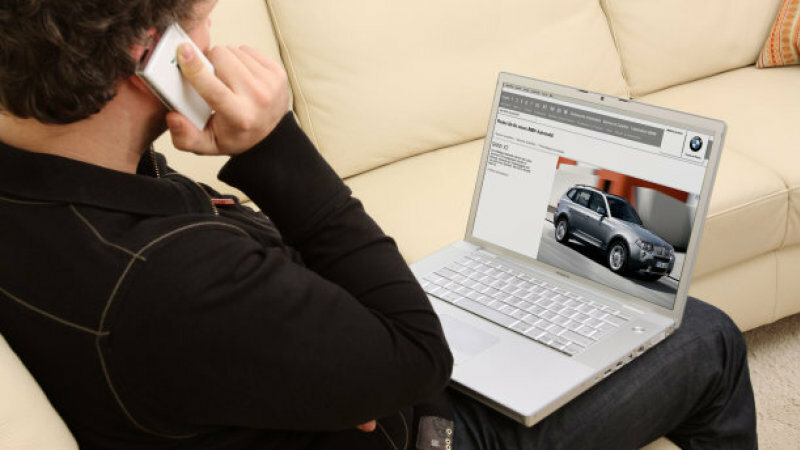 The process of buying a car online from NowCar is easy, convenient, and hassle-free. Sound too good to be true? We can assure you, our process is credible and as legitimate as going into a physical dealership. We have listened to customers, and the majority of new car buyers would prefer an option for purchasing a car online. NowCar is simply delivering a realistic option for consumers who are tired of visiting outdated dealerships, only to get the run-around from salesman who work on commission. At NowCar, we have no overhead costs. We don’t pay salaries to dealership managers, salesmen, or finance managers. We don’t pay to rent a building, and in turn, don’t have utility bills to pay. At a dealership, all of those factor into the price of your vehicle. NowCar eliminates that element completely, which is why we can offer you the best possible deal on a new car. NowCar is not like other online dealerships, or third party websites that claim to help you purchase a car online. Those websites, even the leading names in the industry, take your information and sell it to dealerships local to your area. NowCar will never share, or sell your information to anyone, which other online dealerships can’t promise. Even dealerships with an “online dealership” platform, can’t completely close a deal without you heading down to their location to sign paperwork. NowCar is the only online car dealership that allows you to complete your entire new vehicle purchase online, without ever leaving your house. We are a fully licensed dealership, not just a website. We sell and lease cars, trucks, SUVs, and vans, to consumers who want a true online car buying experience. Our mission here at NowCar has always been to create a better vehicle buying experience. If your mission is to buy a new vehicle, consider the prospect of buying a car completely online. Imagine the exact car you built to your specifications, being delivered to your home or office, free of charge. Imagine never stepping foot inside of a dealer showroom again, and being in complete control over your new car buying journey. With NowCar, you don’t have to imagine any of that. NowCar offers the complete online car buying experience, NOW.